In news ruining childhood dreams: The Killer Python is being chopped. Every kid's favourite treat just got chopped in half. It’s no longer a killer. It’s now a baby. A full 32.5cm of sugary goodness only reserved for those days when you behaved superbly? Which was then followed by non-superb behaviour blamed on sugar. Well, my friends, those days are over. And not just because we have all grown up. Future generations of little kids won’t get to experience the delight at eating a treat that is half the size of them. Nestle is chopping the Killer Python. In half. The Python will shrink to 21cm. So basically, it is now a baby snake. Nestle are making the chop to improve the health of Australia (which is nice and considerate). The new size will cut the kilojoules in half, from 630 to 336, meaning kids now only have to run around for 30 minutes to burn off the treat (before it was a full hour). 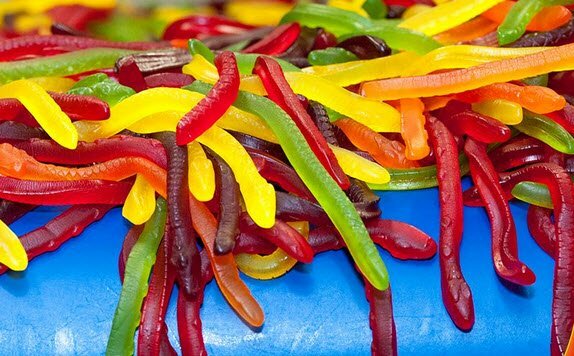 However, it is still the same snake Nestle said, "It still has the same recipe, taste, stretchiness with no artificial colours that have made it a favourite after-sport treat for kids and adults alike." Martin Brown, Nestle&apos;s General Manager of Confectionery, added, "We&apos;re now offering confectionery with responsibly sourced ingredients, on-pack portion education and changes such as revised portion sizes and resealable packaging. It&apos;s part of helping people improve their nutrition, health and wellness, and underlines our fundamental belief that for a company to be successful, it must also create value for society." Nestle also confirmed that the Killer Pythons bag&apos;s price would remain the same, more snakes would be added to make up the weight difference. While the individual Killer Pythons will now by recommended for sale at 50 cents. What do you think of the chop?